I was just contacted by CafePress about their newly-updated Hunger Games: Mockingjay gift site. They have some really incredible stuff! You can visit the whole Mockingjay Gift site for yourself, or read on for some of my favorite picks. CafePress is really great because they tend to run a lot of coupons on their site (right now they have one for 20% off) and they also ship to many countries. There are no shortage of Team Peeta Shirts. You can get them in just about every color and style. I like black t-shirts so this one appealed to me. But you can also customize them to print on other colors. With the weather getting colder, long-sleeved shirts are more appropriate. They have these in men’s, women’s, and children’s sizes. This “Our Leader the Mockingjay” shirt would be appropriate for just about anyone and comes in black or blue. If you are looking for some decor items, they have over 90 different Mockingjay-themed pillows you can have customized! Choose from canvas, cotton, microsuede, burlap, or woven. They have some great quotes like “May the odds be ever in your favor” and “You love me. Real or not real?” This one with the emblem on fire is really awesome! With over 30 different journals to choose from and at most of them under $15, these would make terrific gifts for any Hunger Games fan. Choose from logos, Mockingjay emblems, quotes, and more. Use them as a journal, diary, or even school notebook. There are thousands…maybe tens of thousands of Hunger Games merchandise items on the CafePress site, and probably hundreds of thousands of ways to personalize them all. These were just a few of my favorites. But you can also check out their stickers, accessories, clocks, greeting cards, calendars, iPhone cases, and more. 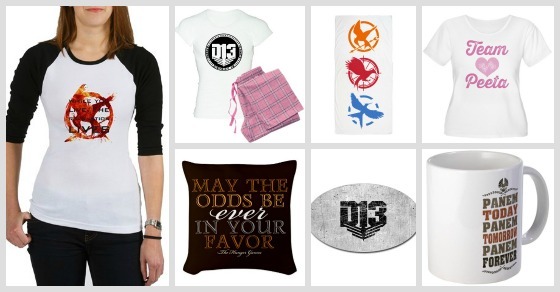 Visit the Mockingjay Gifts page on CafePress. 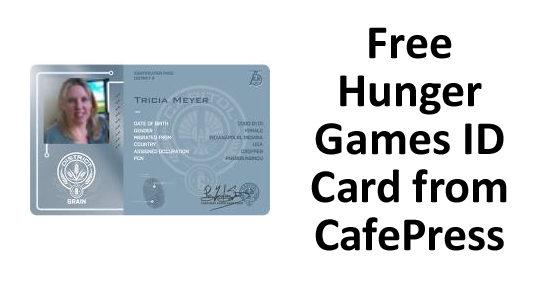 CafePress is one of my favorite places to get customized Hunger Games merchandise and now you can claim your free Hunger Games ID card from them. You customize it with your own picture, name, date of birth, gender, city, and country. They add other “authentic” Hunger Games details like your District and the District seal. The only thing you have to pay to get the card in the mail is shipping. For me that was only $1.25. Definitely worth it! Visit CafePress and then proceed to connect it to your Facebook or Twitter account to get access to this special offer. 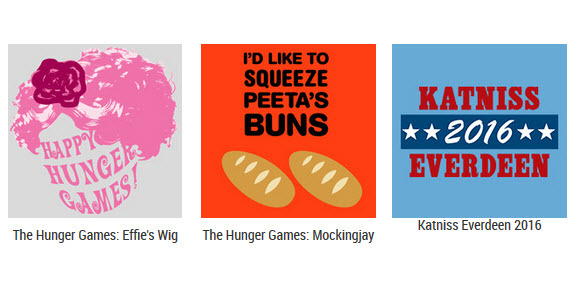 If you haven’t ordered your Hunger Games shirts yet and have been wondering what the ones from CafePress look like, my daughter made a video of our three new shirts: Team Gale, Mellark Bakery, and Katniss, the Girl Who Was on Fire. To get an idea of the size, she is 5’4 and wears about a 2 and the shirt she has on is a Jr.’s Medium. She mentions it in the video, but I have to say it again. We love the CafePress shirts because you can customize them. For example, the Katniss shirt she has was also available in Black. The Gale shirt was also available in Pink. You can choose from long sleeved, short sleeved, sweatshirts, and more. 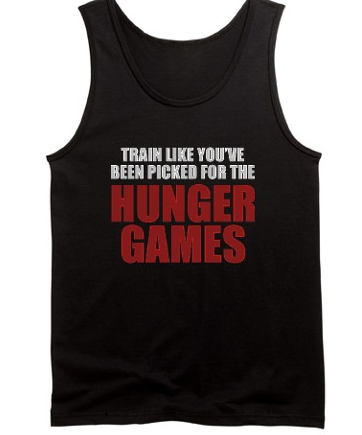 Be unique and order a Hunger Games shirt that fits YOUR personality!